Anyone who has their hands close to the pulse in high-end headphones has heard of the Audeze. 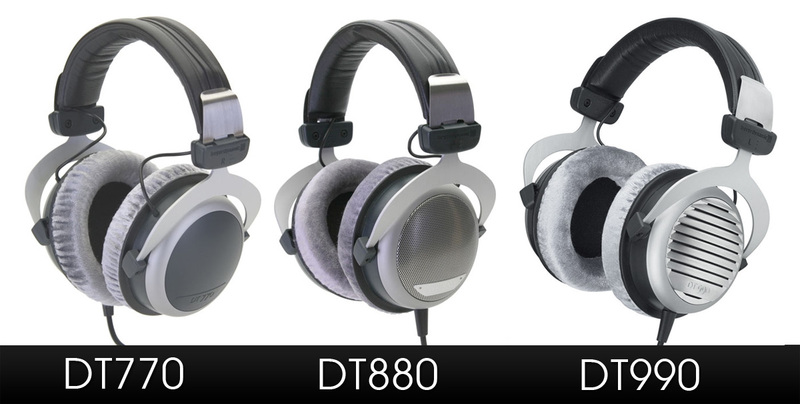 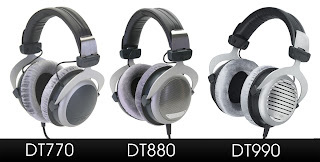 Formed in 2009, they have quickly developed a superb reputation for their planar magnetic headphones, the LCD-2, and very recently the LCD-3. 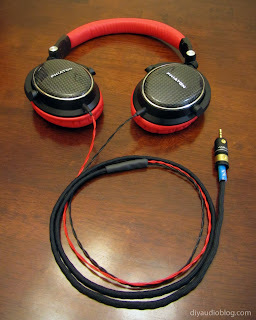 Both headphones make use of a very convenient removable cable mechanism employing a pair of mini 4 pin XLR connectors. 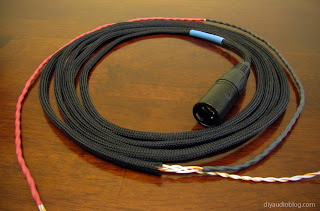 Switchcraft makes these for about $8 a piece, and you can find generics for less than half of that. 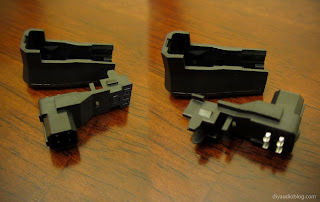 As previous experience dictates; Switchcraft's connectors generally prove to be reliable over time, so I'll be sticking with those for this build. The male and female mini XLRs come in a variety of opening sizes to accommodate different cables. For the females that will be needed for the Audeze cable, the small opening version is the TA4F, and the larger opening is the TA4FLX. 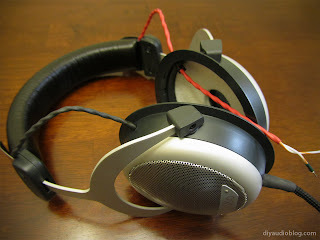 Below are photos of the TA4FLX. 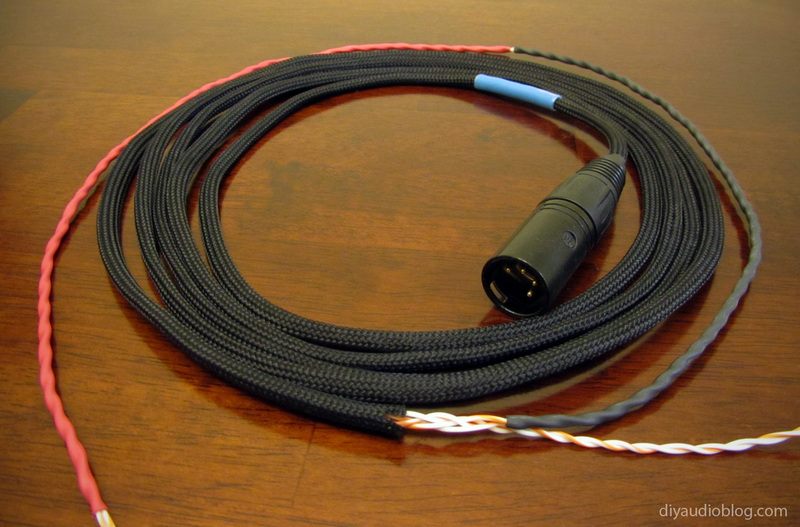 Since each driver only needs a signal and ground, and each mini XLR has four pins, the pins are shorted so that the signal uses pins 1 and 4 and the ground uses 2 and 3, as seen in the below diagram. These tiny little solder tabs require care to solder to and see the numbers associated with each pin. 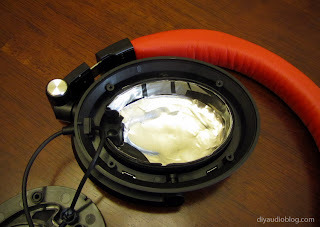 A lamp can be very helpful to get a good look at the connector while working with it. 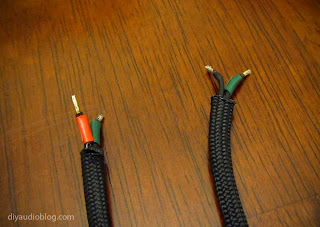 Neotech UP-OCC copper was used to short the pins below. 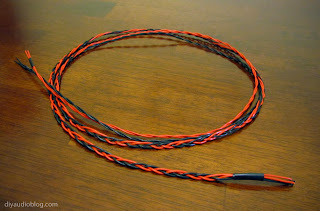 Now comes the time to braid the wire for the cable. 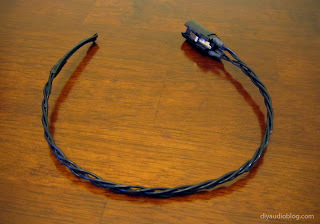 The process is started by trimming four identical lengths of wire, then braiding it in a litz up until around 18 or so inches from the end. The last bit of wire is split into two twisted pairs, on for each cup. 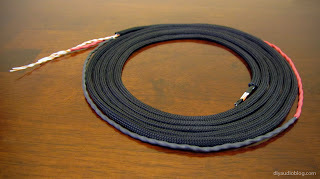 This particular cable will be made using Cardas litz copper wire in Teflon. 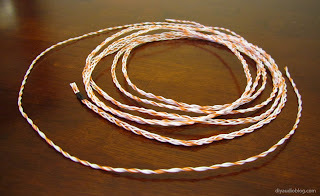 Cardas litz wire is a number of different gauges of wire, each covered in enamel that needs to be melted away with hot solder (a solder pot is especially helpful). This needs to be done for each end that is stripped. The wire is now sleeved with black nylon multifilament, 1/8" for the twisted pairs and 3/8" for the four wire litz. A ViaBlue splitter was placed over the "Y" split of the cable to give it a sleek look. If you'd like more details about the ViaBlue SC-2 splitter, please read my post regarding a ViaBlue Mini to RCA cable build. 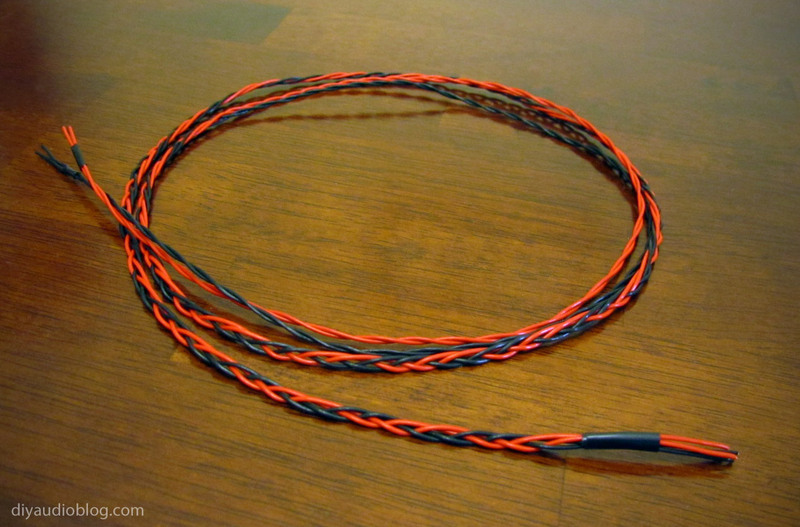 Since the wires are all the same color, it can be beneficial to color code them to later reference. 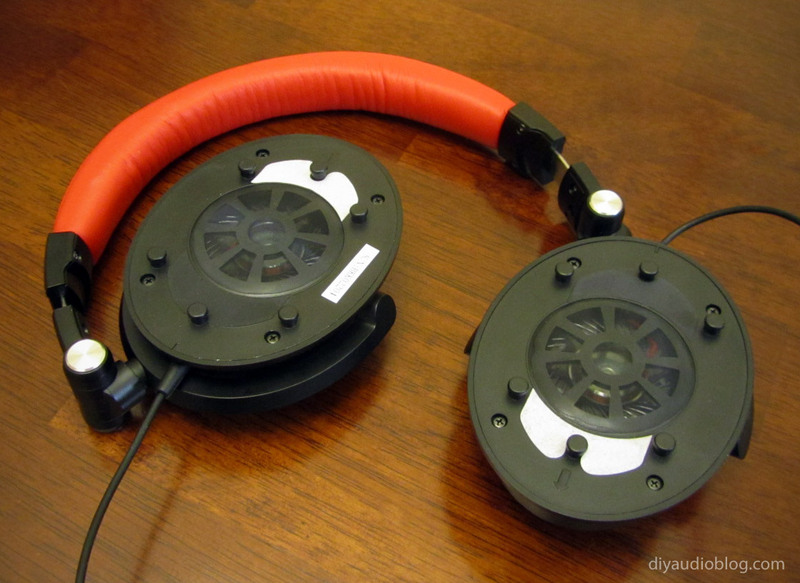 Hardware stores carry electrical tape in a variety of colors. 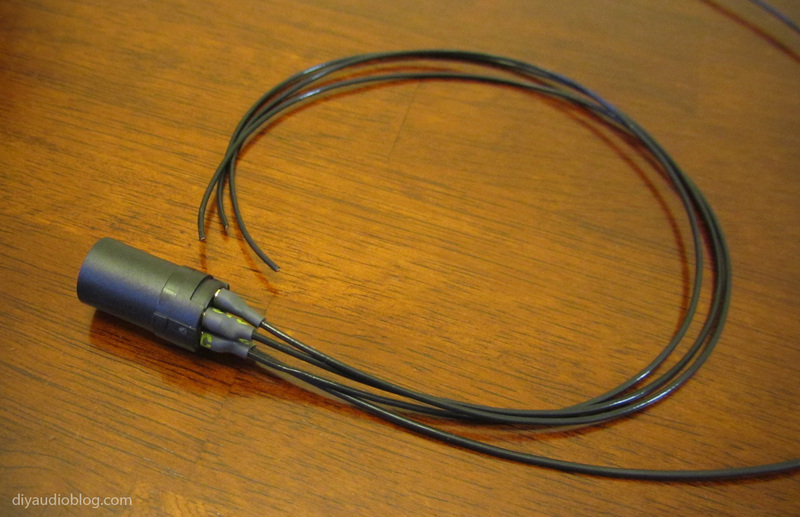 Typically ground connectors are labelled green, right signal is red, and left is black or white. 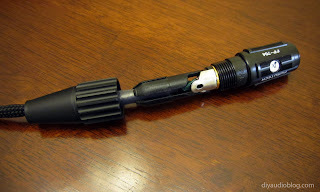 This isn't always the case, but one can choose a convention for themselves and stick with it. 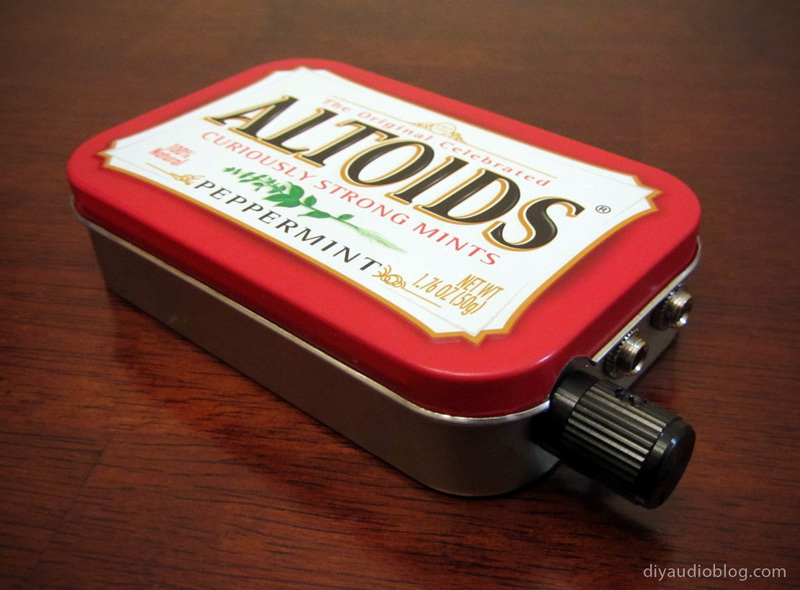 It prevents one from having to pull out the multimeter too often. 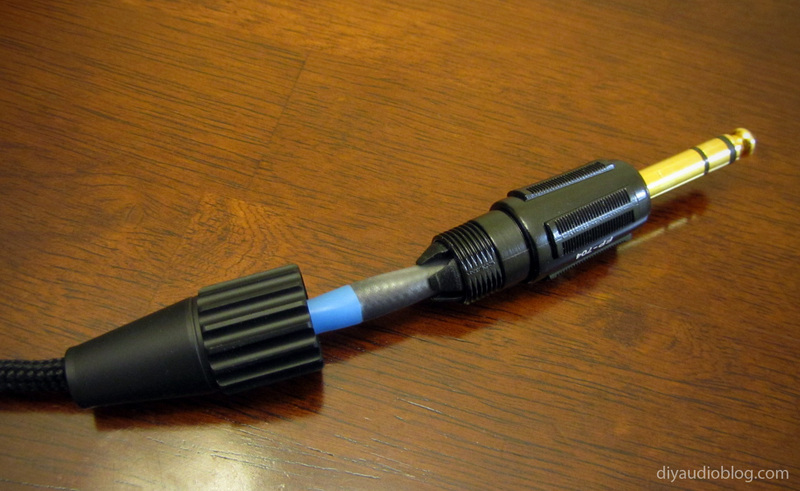 A piece of heatshrink holds the nylon sleeving in place, and the strain relief grip is placed under the 4 pin connector. 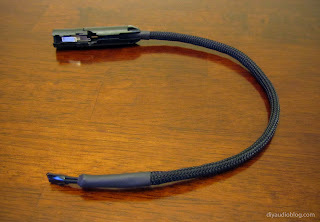 The metal sleeve is slipped on top of the 4 pin connector and the plastic strain relief grip is covered by the bottom piece which screws in place, creating a strong grip on the heatshrink and nylon sleeving. 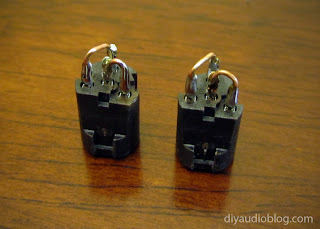 The Switchcraft 4 pin mini XLRs are then soldered in place. 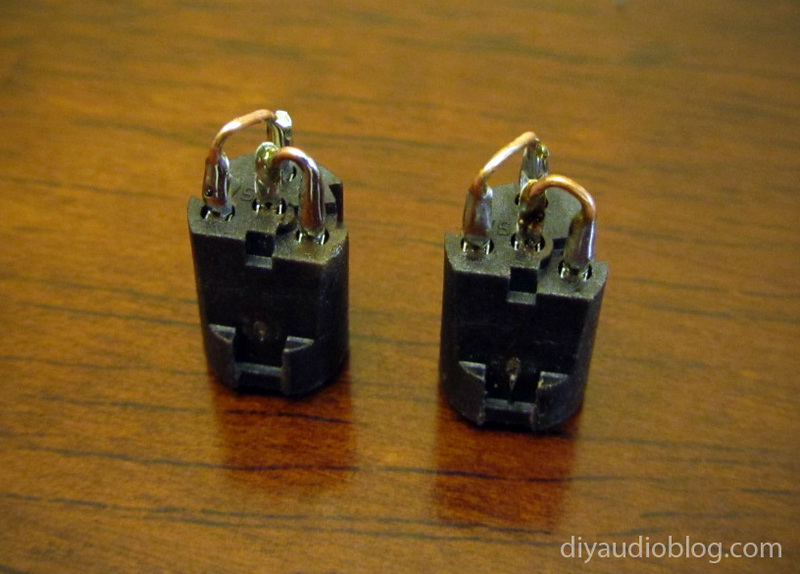 As mentioned above, the signal uses pins 1 and 4 and the ground uses 2 and 3. 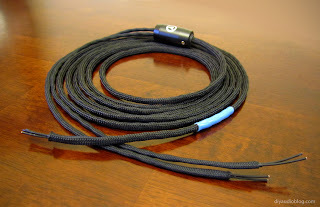 The cable is now complete. 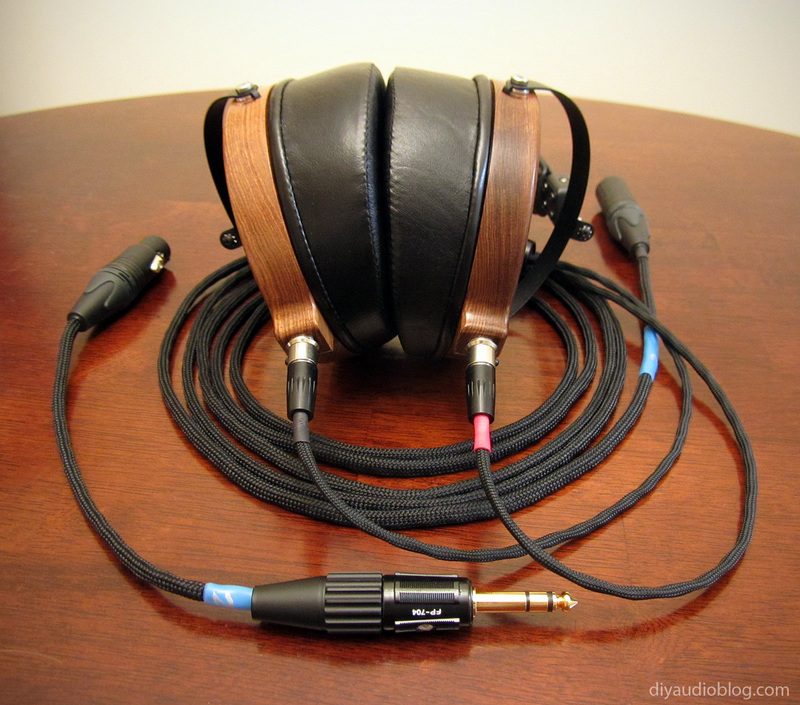 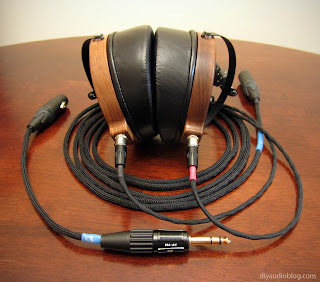 A balanced adapter was constructed so the headphone could be used with single-ended amplifiers. 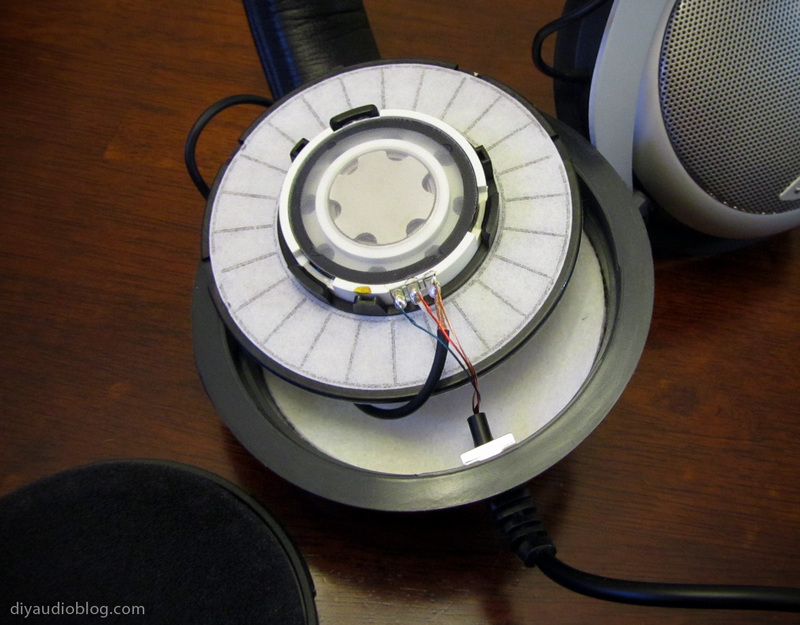 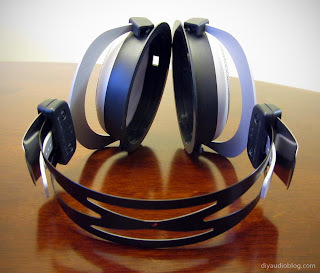 If you'd like to read how this was constructed and learn a little more about balanced headphone operation, visit the Balanced to Single Ended Adapter Cable post. 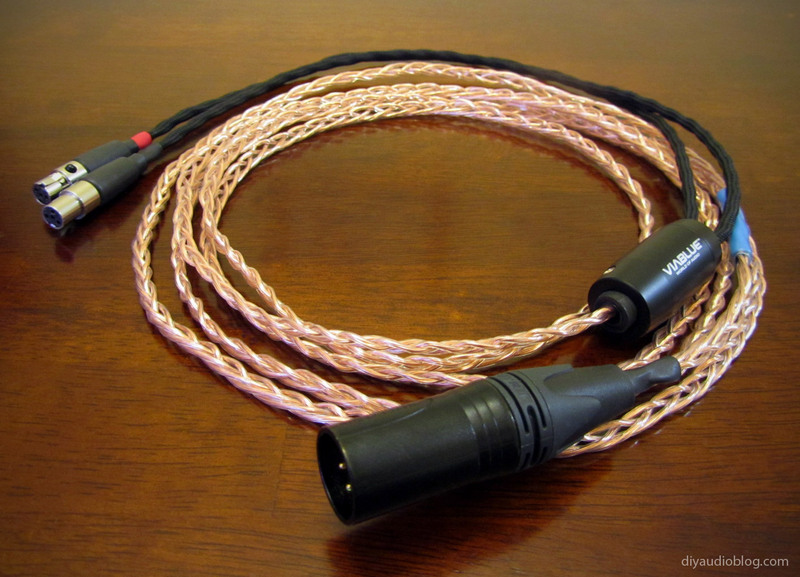 Also built for the Audeze LCD-2 was an identical cable using Kimber TCSS copper in Teflon wire. 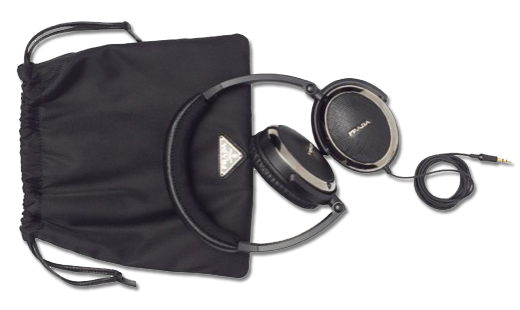 The Audeze has what I would consider a warmer and more laid-back presentation. 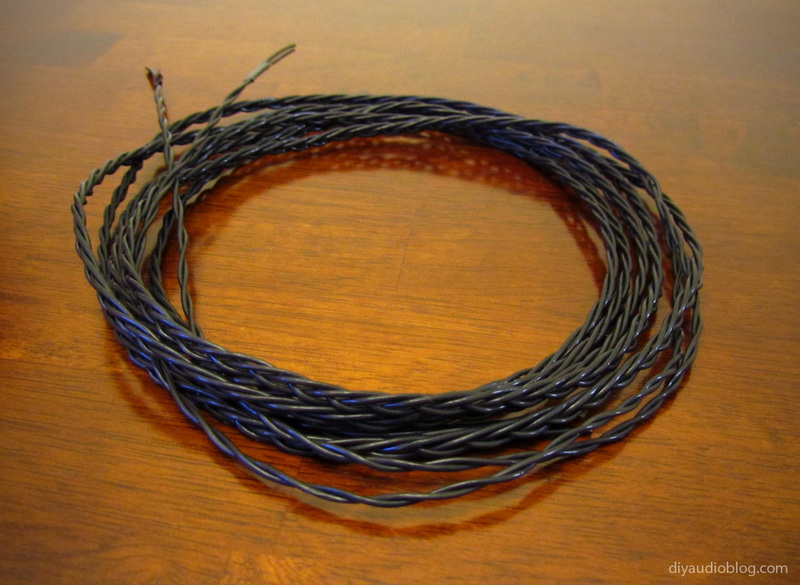 The Kimber wire helps bring it forward a little bit without being harsh. 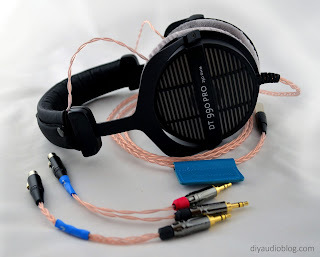 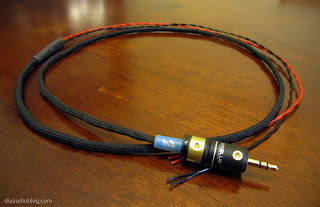 If you are looking for your own custom made Audeze LCD-2, LCD-3, or LCD-X cable, Contact Zynsonix Audio for a superb sounding Trebuchet Audeze headphone cable, made with 99.99997% pure, custom ohno cast copper. 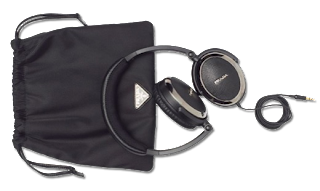 Zynsonix is an authorized dealer for Audeze headphones which include not only a full factory warranty, but a free Trebuchet headphone cable. Contact Zynsonix for details. 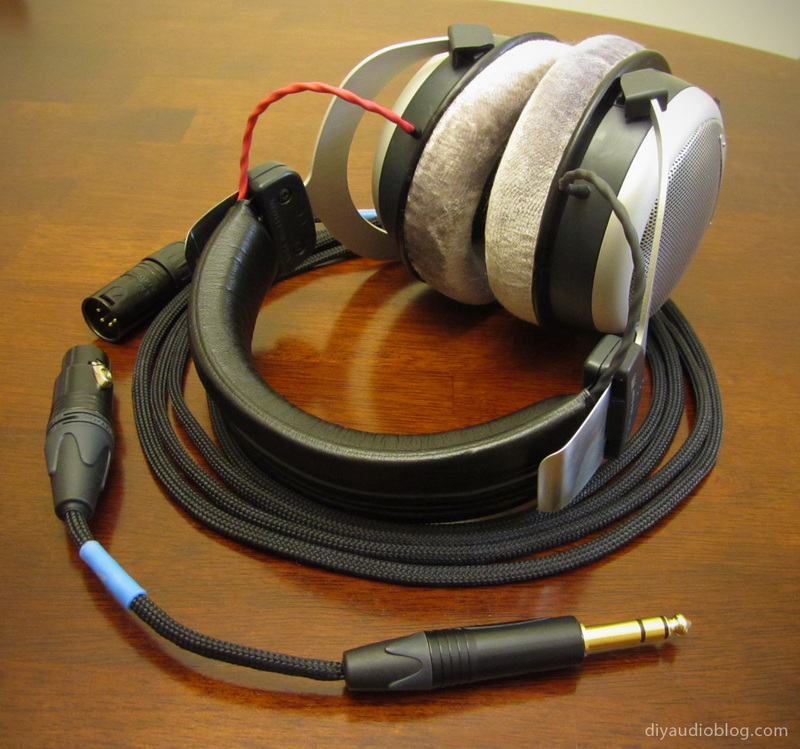 Balanced circuits have been around for quite some time, but the first commercially available balanced drive headphone amp was created by Headroom nearly ten years ago. 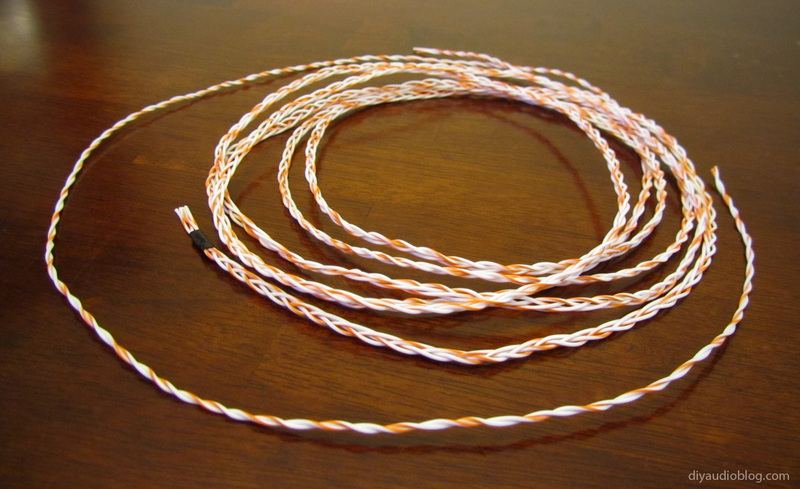 Balanced drive doubles the slew rate and voltage swing available from a circuit and reduces distortion. 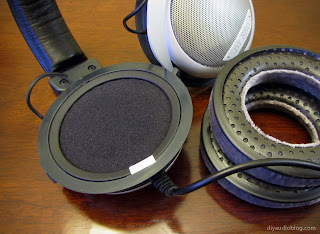 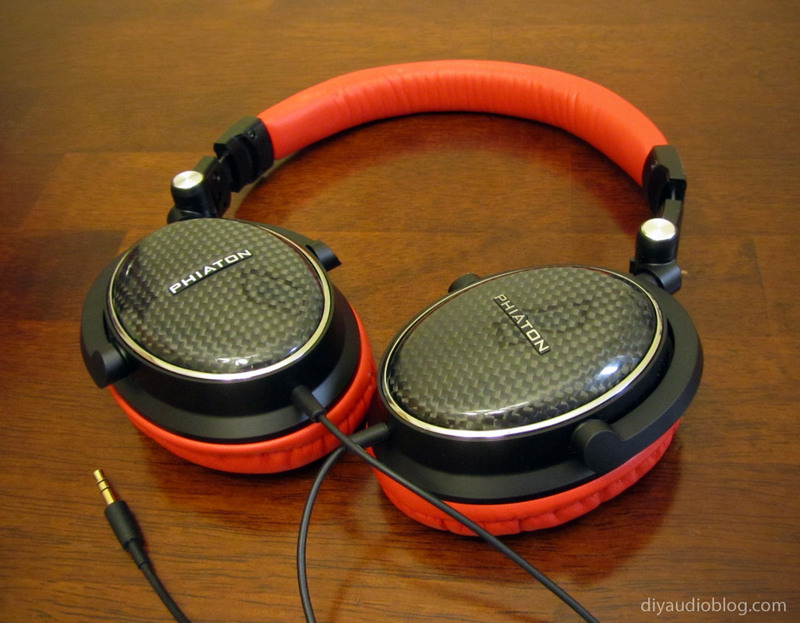 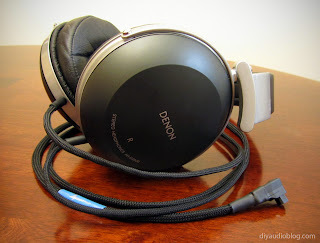 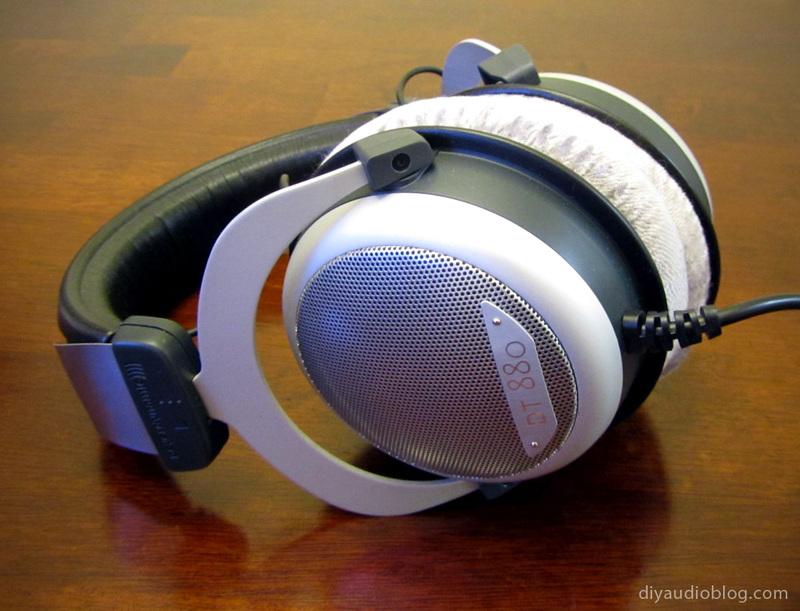 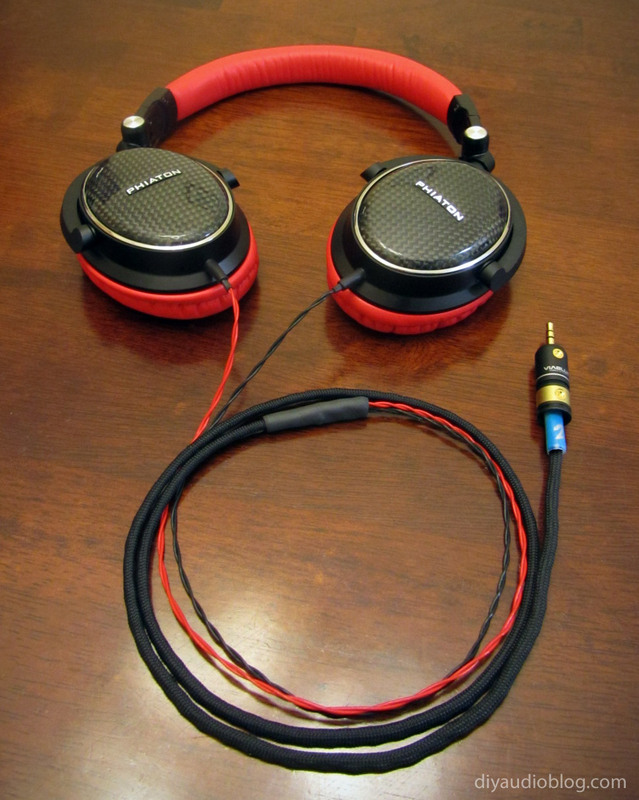 For balanced headphones, it also eliminates the ground connection between the left and right drivers, preventing crosstalk. 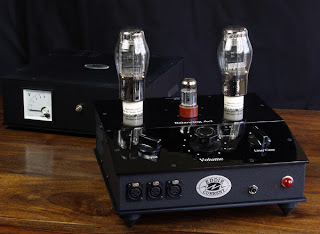 There are many headphone amp manufacturers producing balanced headphone amplifiers now, including Ray Samuels, Eddie Current and Bottlehead just to name a few. 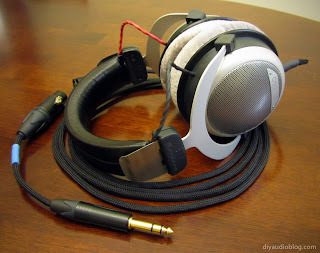 There isn't an "official" balanced headphone connector, but there are two methods that seem to be the most common; a dual-three pin XLR where only two of the three pins on each connector are used, and a four pin XLR where all four pins are used. 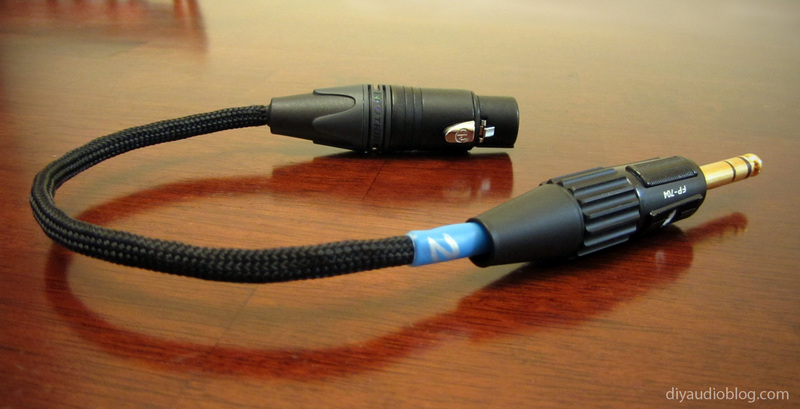 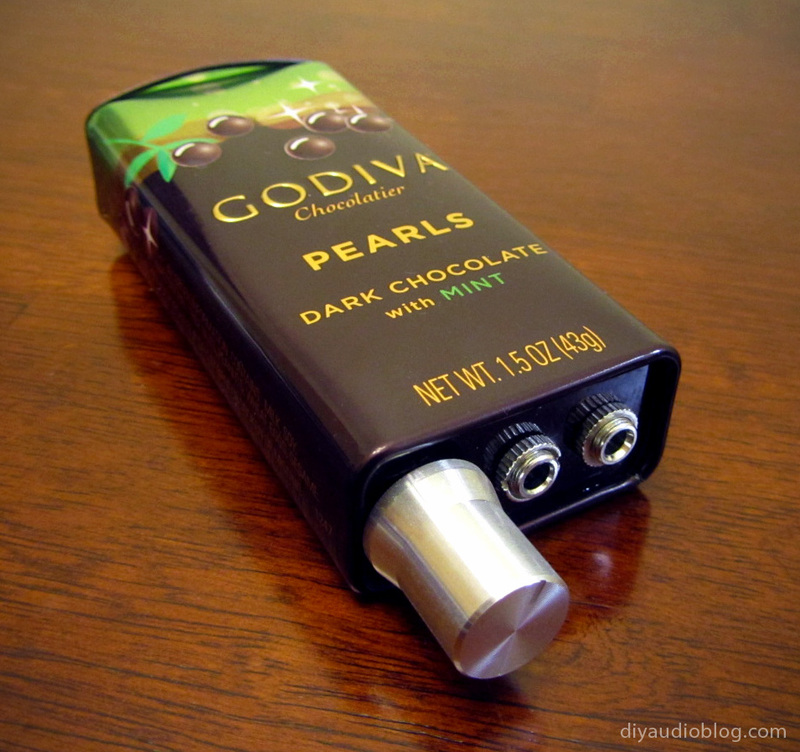 Headroom, being the first to market with their balanced headphone amplifier, went with a dual-three pin XLR. 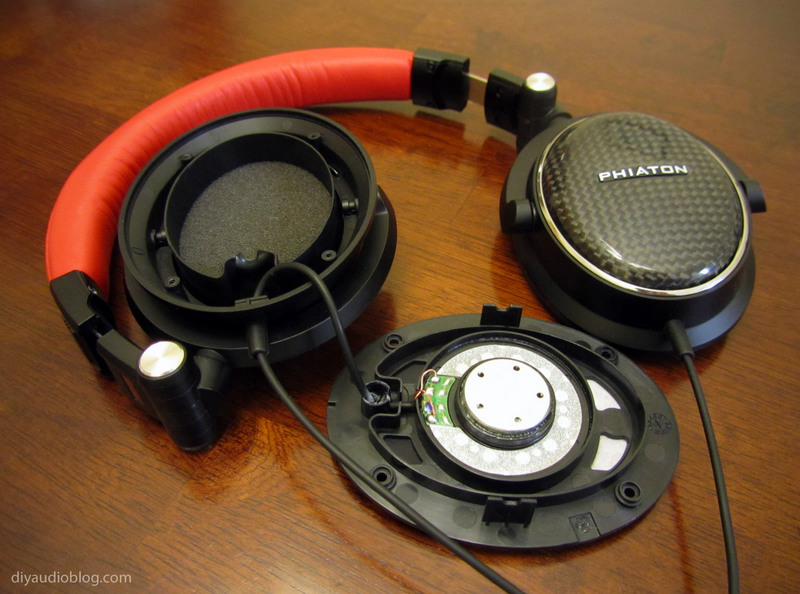 Many manufacturers offer both options. I'm personally of the opinion that a 4 pin XLR should be used; it's a cleaner, easier cable to produce and a lot less heavy if using a balanced to single-ended adapter. 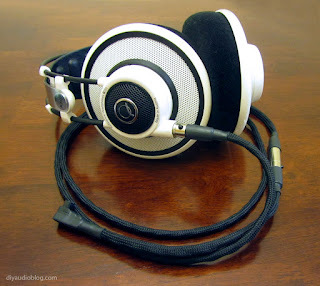 Headphones, in order to be balanced, require a complete recable or a retermination if the left and right ground are isolated from one another. Balanced to single-ended adapters are used when someone has had their headphone recabled or terminated to a balanced connection but wants to listen to a single-ended headphone amplifier. 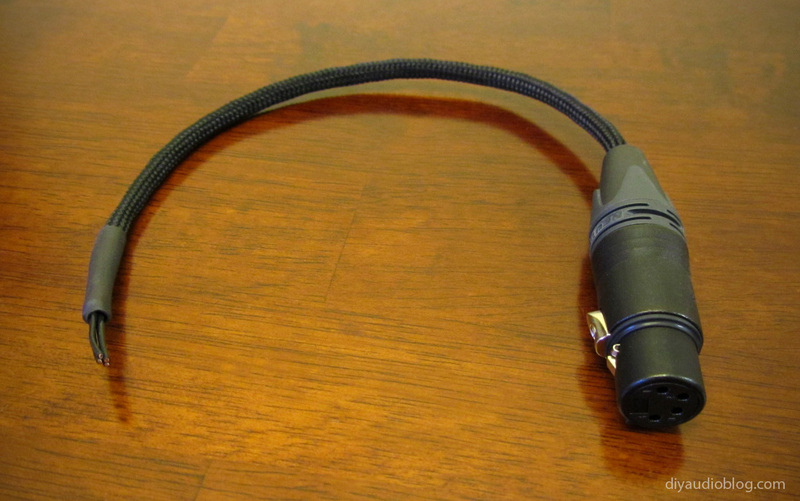 In the case of the 4 pin, it's a 4 pin XLR connector to a TRS cable. This cable connects the two grounds to the Sleeve, the "S" of the TRS (TRS stands for Tip, Ring Sleeve). 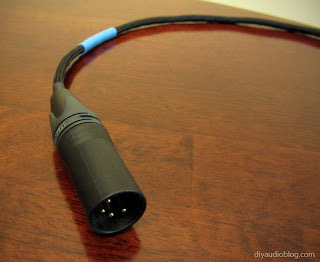 In this post, I will be creating a 4 pin XLR connector to a TRS cable using a 4 pin gold Neutrik XLR jack, a Furutech TRS (FP-704 G) and some Cardas litz wire in Teflon. 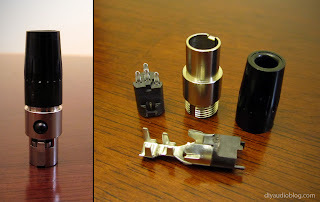 It doesn't appear that there are any boutique 4 pin XLRs at the time of this writing, but the Neutrik 4 pin should not be discounted, it is very well made and solid. 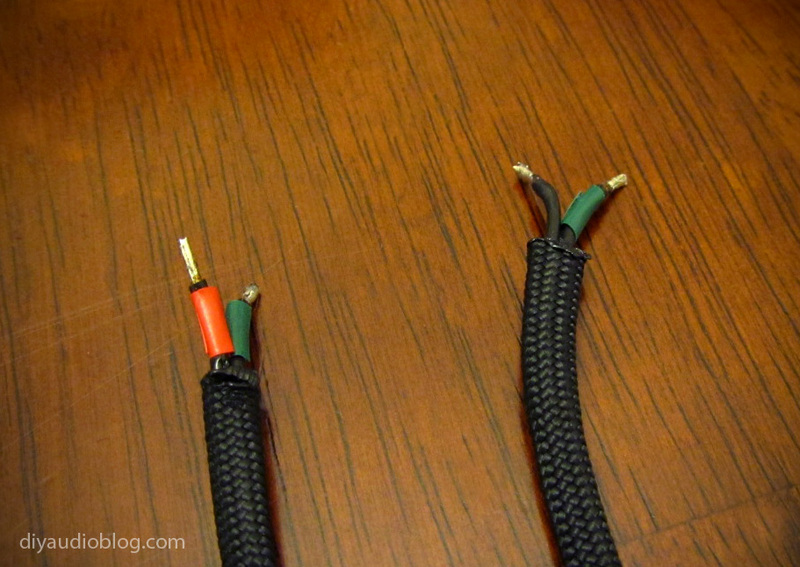 The wire is then braided into a litz configuration in preparation for sleeving. 3/8" Black Nylon multifilament sleeving is trimmed with a hot knife and slipped over the braided wire. Two pieces of heatshrink holds the nylon sleeving in place, and the strain relief grip is placed under the 4 pin connector. 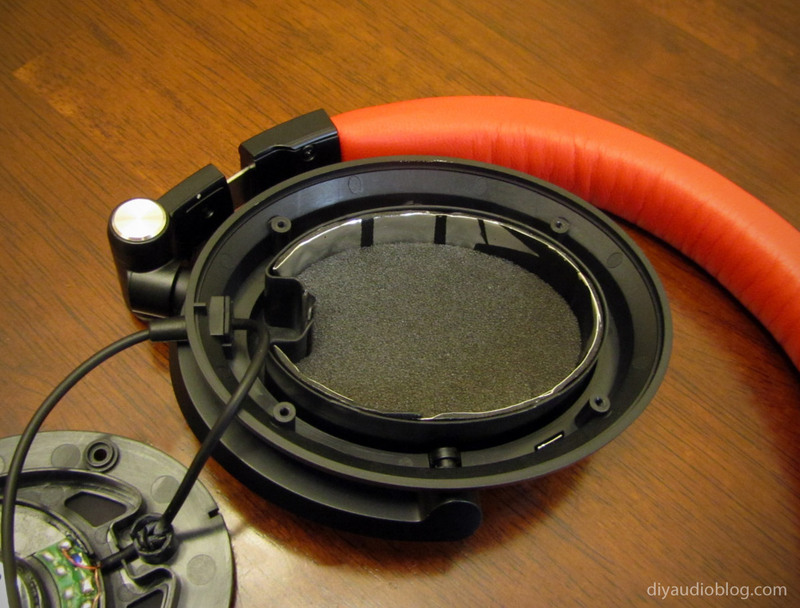 A logo'd piece of heatshrink is added underneath the existing piece so it will be exposed under the Furutech connector. 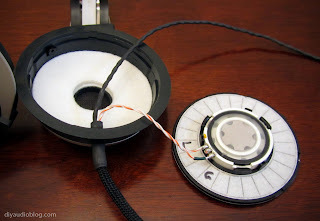 The other side of the wires are stripped and tinned with solder. 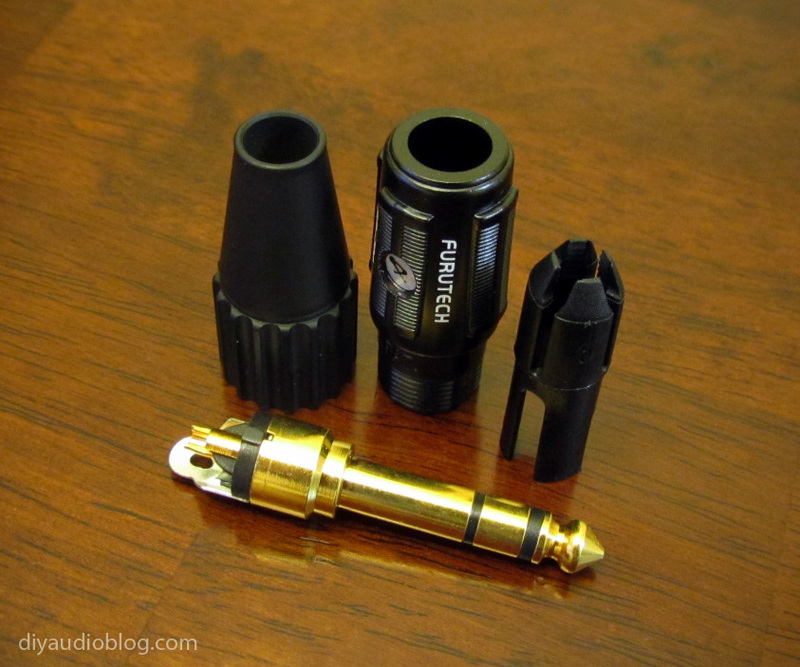 The Furutech TRS is dissasembled in preparation to be attached to the cable, you'll see the four pieces below. Therefore pin 2 and 4 are connected to the sleeve of the Furutech, pin 1 the tip (left channel), and pin 3 the ring (right channel). The plastic strain relief grip is set in place under the TRS and the metal top and bottom are slipped in place. The metal top portion of the connector compresses the strain relief grip, the bottom metal portion can now be screwed in place. 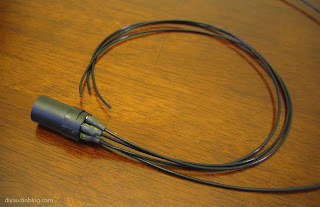 The cable is now complete and is checked with a multimeter for continuity and resistance. 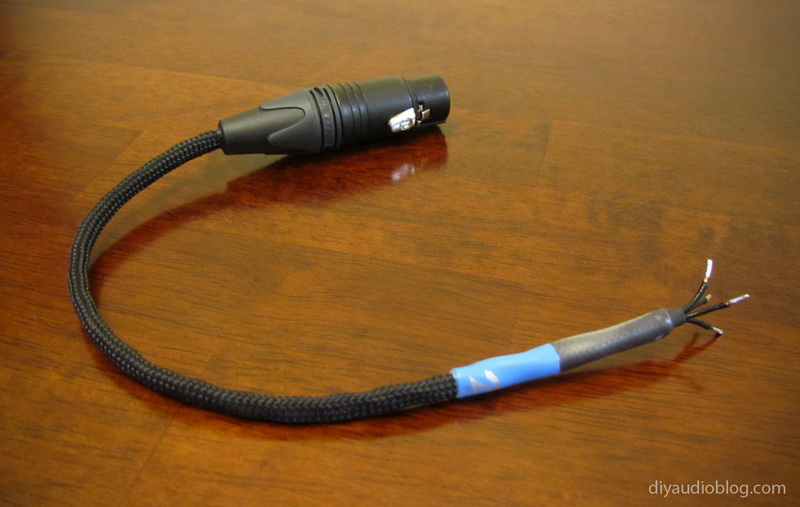 I hope you enjoyed this step-by-step process of building a balanced to single-ended heaphone adapter cable. 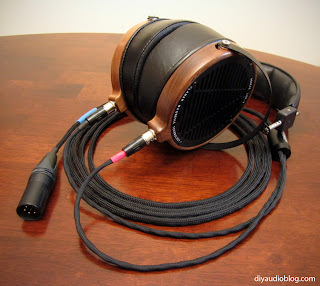 Zynsonix can build you one just like it or one built to your specifications.